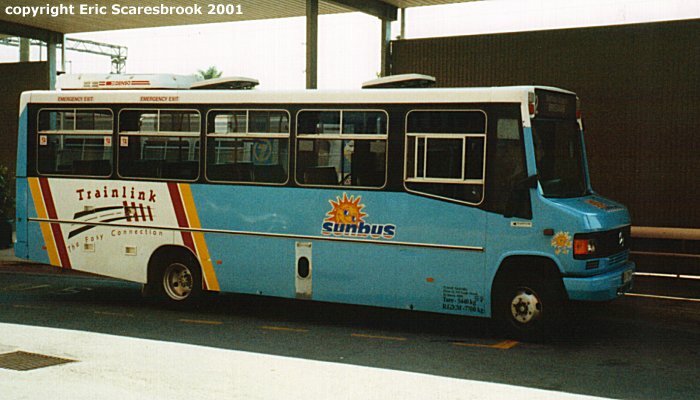 Sunbus operates in several Queensland locations including Cairns, Rockhampton and Nambour. Buses from Nambour are shown on this page. 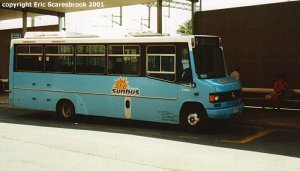 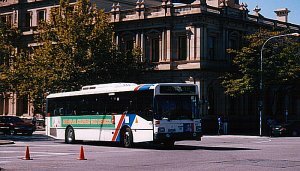 Bus 248 at Nambour Railway Station, 10 October 2000. Bus 428 at Nambour Railway Station, 10 October 2000. 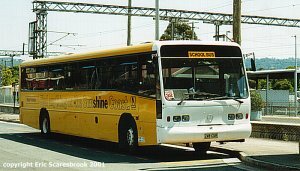 This bus provides services between Caboolture and Nambour in place of some train services due to insufficient capacity on the North Coast line. 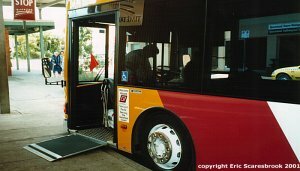 In the bottom photo in this series, the wheelchair ramp is on display. 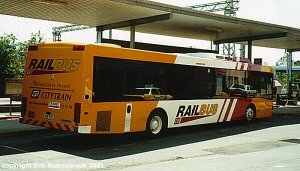 Bus 345 at Nambour Railway Station, 10 October 2000. In the rear photo, the rear of the bus has a destination indicator as well. 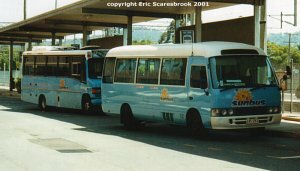 Bus 245 (front) and 345 (rear) at Nambour Railway Station, 10 October 2000. This photo shows the two different sort of minibuses used by Sunbus. 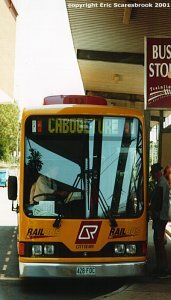 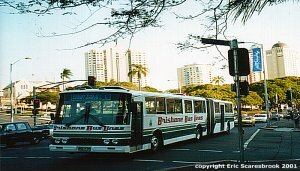 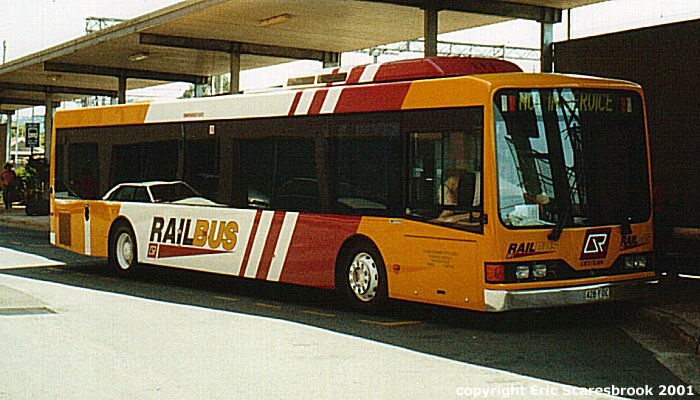 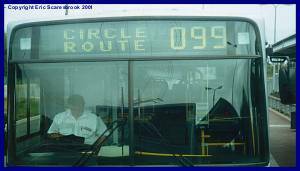 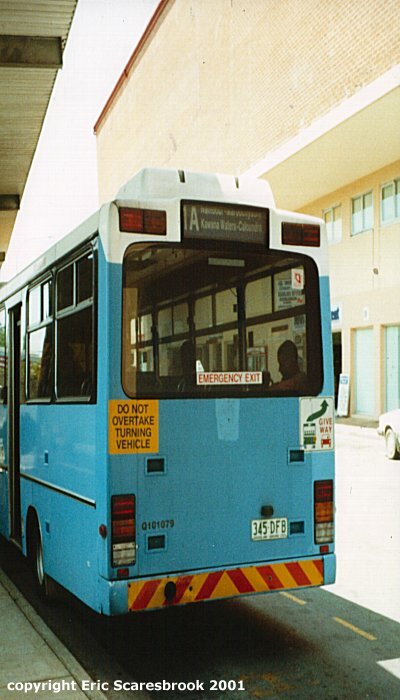 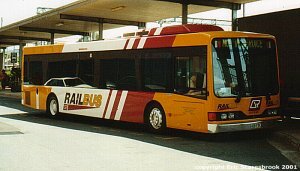 This bus provides a Train Link service between Noosa Heads and Nambour at Nambour Railway Station, 10 October 2000.